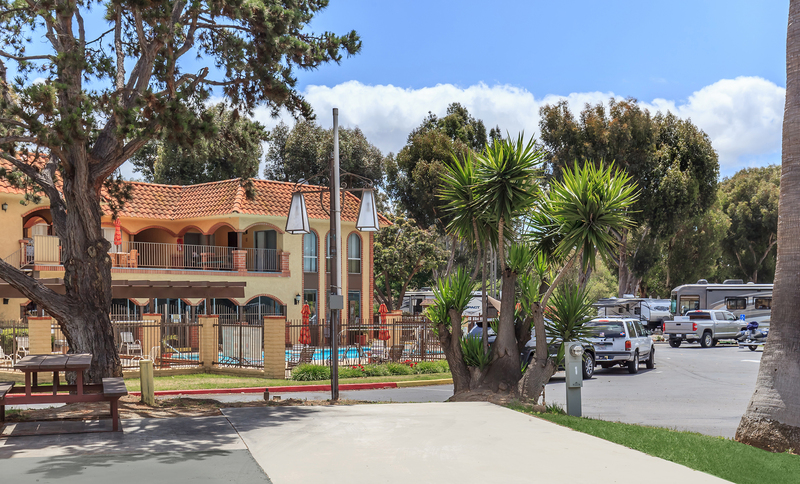 The Perfect San Diego Location for RVs, Rest, and Relaxation! 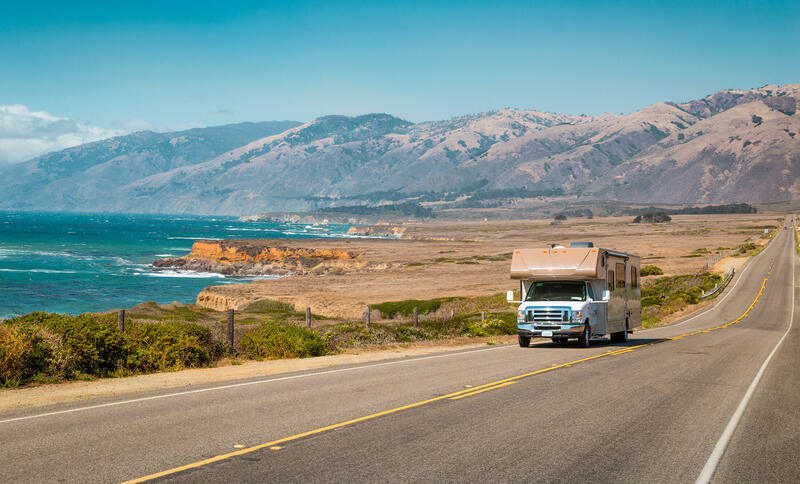 Off Interstate 5, in beautiful San Diego, you will find one of the finest RV parks in Southern California. 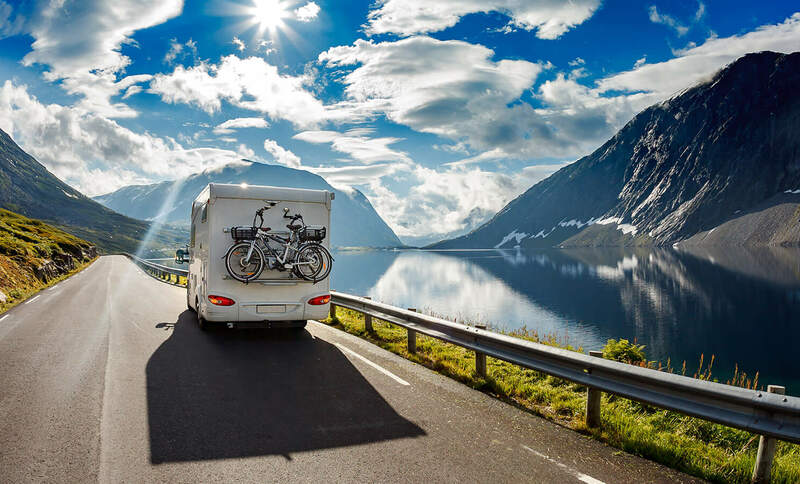 Santa Fe Park RV Resort is in a serene and natural setting, with a friendly family atmosphere and a list of amenities that keep our customers coming back year after year. 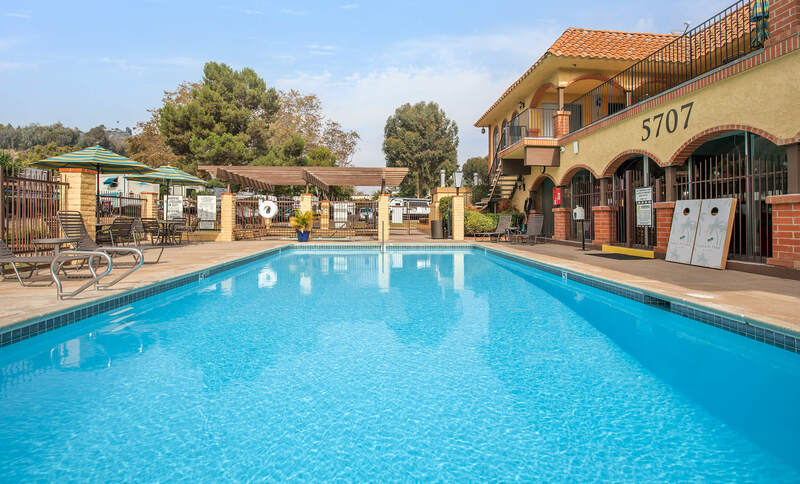 Enjoy Santa Fe Park RV Resort's close proximity to championship golf courses, Sea World, the world-famous San Diego Zoo, and miles of gorgeous beaches. We offer full hookup spaces with concrete parking pads, 20 and 30 amp electrical services, a full-size picnic table with barbecue, and satellite TV with HBO included. There is 50 amp electric in select sites and pull-through upgrades when available. We are a pet-friendly RV park, so bring the whole family. Once you "hookup" at Santa Fe Park RV Resort, you'll be hooked for good. Whether you're planning to stay a week, a month, or longer, you will enjoy the full list of amenities designed for your comfort and convenience. Relax at our heated shimmering swimming pool and spa, workout at our fully-equipped fitness center, or take in a movie at our mini theater with big screen TV. Our laundry facilities and showers are clean and plentiful. 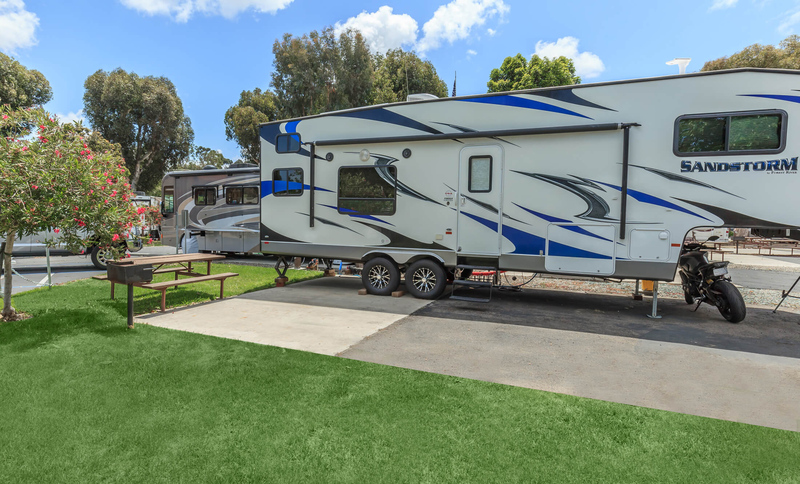 Give us a call today and find out why Santa Fe Park RV Resort is "the place to stay" in San Diego for RV's and travel trailers.